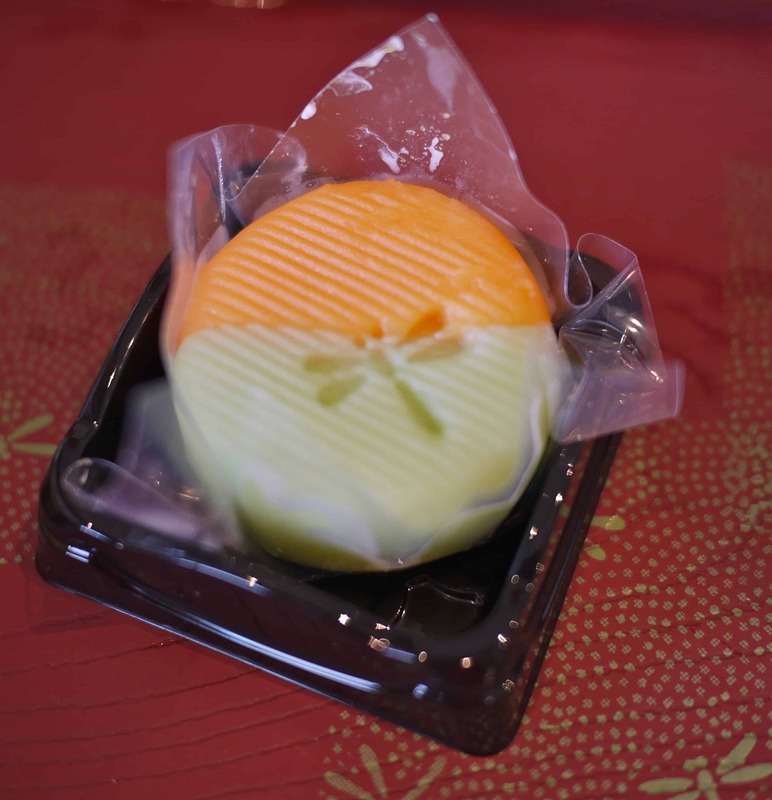 Fans of traditional Japanese sweets will want to make their way over to this Ushita neighborhood shop (there is also a second location in front of Itsukaichi JR Station in Saiki-ku. You may have tried or at least seen people eating mochi and dango during full moon viewing, New Year, at festivals or community functions as it is a very typical, Japanese pounded rice treat. This shop a good range of mochi, shu-creme (chou cream puffs), cakes, pies and puddings at this shop. But the dango is really something special; a real delight- this slightly sweeter and softer variation dango is a little less common to find in Japan. Other recent favorites are their rice flour donuts and flakey butter crust apple pies. KH first opened in Ushita in 1964 and became so popular in this small town that they opened a second shop in a bigger shopping area in Itsukaichi in 1992. They have a few different varieties of dango which are all worth exploring for yourself: yomogi green ones, a kurumi walnut yellow variety, a white goma sesame type, as well as the classic white with the sweet, red azuki bean inside. This shop is nestled into a quiet side street near the San Belmo shopping center at the end of Ushita’s “main drag”. Kaorudo Harunaga is a family run shop and they are quite friendly and helpful. Unfortunately, there is no space to sit and eat, just enough space to choose your sweets and head out or home. The prices of all the cakes and desserts are very reasonable, cream-puff (shu-creme) lovers, apple pie fans as well as roll style cream cake enthusiasts rave about this shop. They specialize in seasonal treats. One of my favorites is the amazing soft mochi, filled with fresh strawberry; such a shame they aren’t available all year round! Continue walking on the street and you will finad a collection of interesting shops;a bicycle store, specialty coffee shop, a nice little curry & rice shokudo cafe, and a small retro style clothing boutique. Also along here is PIIC kids English language school.